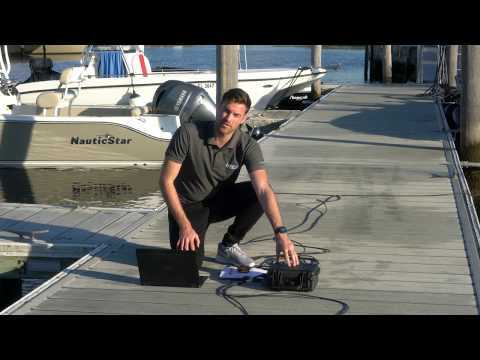 The purpose of the Underwater GPS Kit is to make underwater positioning technology available for everyone. The kit requires minimal technical skills and is quick and easy to deploy. With its extremely small size and low weight, the Underwater GPS kit is hassle-free to transport and operate. A wide range of Locator choices and software options makes the Underwater GPS technology a great fit for mini ROVs, divers and all the way up to advanced Oil&Gas operations. 1. The Locator is mounted on the ROV or diver. 2. The Receivers are connected and measured relative to the top-side and deployed in water. 3. 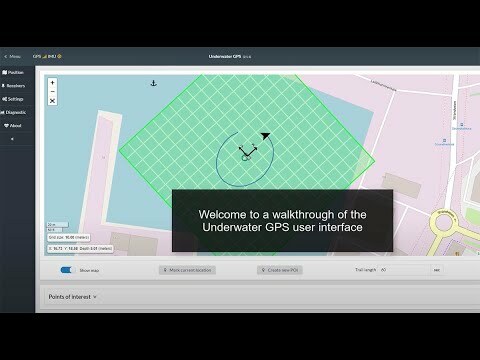 The ROV or diver is submerged and its position shows up in the web GUI. Locator U1 Battery powered. Optimal for divers/ROVs. Locator P1 For long range and noisy environments. You will normally experience an accuracy of ~1% of the range between the Locator and the Receivers. So on 100 meter range, you can expect an acuracy of ~1 meter. As part of the 200 meter range upgrade, we also include some advanced features.